What a sad day. 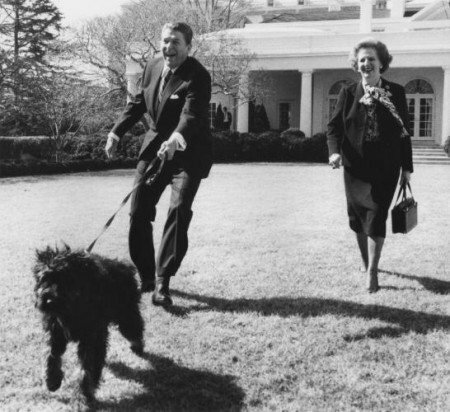 Reagan’s fellow stalwart and irreplaceable ally against Communism, Margaret Thatcher, has died. Margaret Thatcher has died following a stroke her spokesman Lord Bell has said. In January, The Heritage Foundation released this documentary, “The Real Legacy of Margaret Thatcher”. The Iron Lady was appropriately named. She was unmatched in her extraordinary ability to take on the Socialists, mocking them with charisma, sharp wit, humor, and deep Conservative conviction. In her eulogy to Ronald Reagan, Thatcher beautifully summarized the character and legacy of her political and ideological soulmate. The deep admiration she held for her dear friend was fitting, since they were qualities mirrored within herself. So, those solemn words Thatcher chose for her speech that day could, now, equally be written of her. Thatcher “fought to restore the strength of the free world and to free the slaves of Communism”. As she also said of Reagan, Thatcher “knew her own mind, had firm principles, the right ones, and instinctively knew what to do. … When enemies tested her resolve, they soon discovered her resolve was firm and unyielding”. 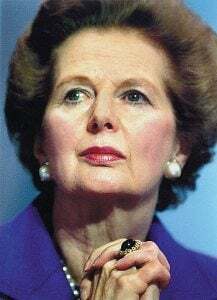 With her bold leadership underlay by strength, Margaret Thatcher holds her place in history as one of the greatest defenders of freedom and liberators from tyranny.